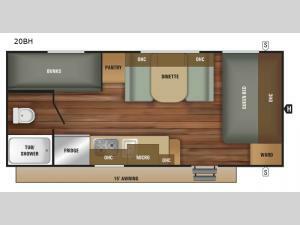 You are going to love the functionality and convenience of this 20BH Autumn Ridge Outfitter travel trailer! 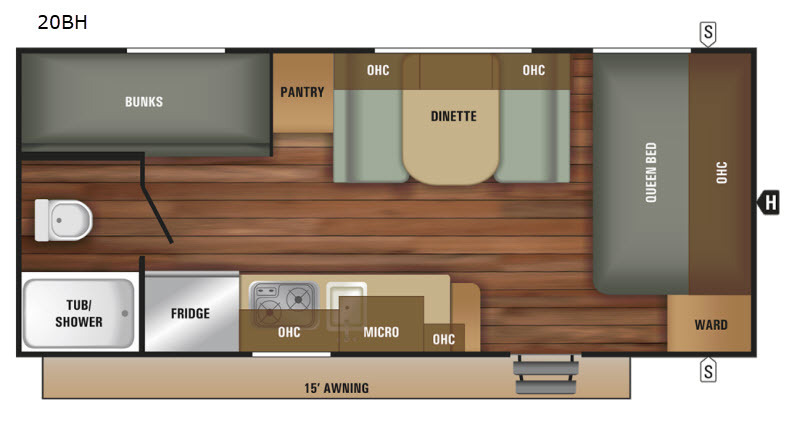 With a rear set of bunk beds for your kids, a front queen bed for mom and dad, and a dinette which can easily convert into additional sleeping space you can accommodate a family of six. The rear bathroom has a tub/shower and a toilet for your convenience. Between the bunk beds and the dinette there is a large pantry for all of your canned goods.